Why Do People Use Prickly Ash? Orally - The oral preparations of Zanthoxylum americanum (Prickly ash), like prickly ash powder, are used for intermittent claudication, cramps, chronic rheumatic conditions, Raynaud's syndrome, peripheral circulatory insufficiency related with rheumatic symptoms, to treat low blood pressure, as a tonic, fever, inflammation, for toothache, stimulant, ulcers, sores, cancer (as an ingredient in Hoxsey cure) and as a diaphoretic in fever. For Manufacturing Purpose - Prickly ash is used as a flavoring component in number of beverages and food items. Possibly Safe - Oral and appropriate consumption of prickly ash powder is considered safe to use, even in medicinal amounts. However, there is scarce information available to rate the safety of oral consumption of prickly ash berry. Likely Unsafe In Pregnancy - Orally taking prickly ash powder during pregnant may show adverse effects. Its berry part should also be avoided during pregnancy because about this particular usage there is insufficient and unreliable information available. Avoid in Lactation - Any part of Zanthoxylum americanum should also be avoided by breastfeeding females because there is insufficient reliable information available to rate its safety for such females. How Effective Is Prickly Ash? 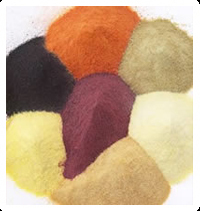 In order to rate the effectiveness of prickly ash powder, there is scarce and unreliable information available. The most effective and frequently used parts of Zanthoxylum americanum are the berry and bark. About the active ingredients and possible mechanism of action of prickly ash, there is insufficient and unreliable information available. Prickly ash consists of alkaloids, resin, coumarins, tannins and acid volatile oil, which may be pharmacologically active. What Are The Side Effects /Adverse Reactions of Prickly Ash? There is no side effect reported because of prickly ash consumption. How Prickly Ash Interacts With Other Herbs and Supplements? Supplements & Herbs Containing Antiplatelet OR Anticoagulant Properties - Consumption of prickly ash powder and herbs that have constituents that may interact platelet aggregation could enhance the potential risks of bleeding in some individuals. Herbs in such category are danshen, angelica, ginkgo, red clover, turmeric, garlic, ginger, horse chestnut, Panax ginseng and some others. How Prickly Ash Interacts With Drugs? Antacids - Interaction rating between prickly ash powder and antacids drugs is minor, so be careful about this mixture. Because of reports that prickly as enhances acid production, its use may decrease the effectiveness of antacids. H2-Blockers - Interaction rating between prickly ash and H2 blockers is minor, so be careful about this mixture. Because of reports that prickly ash enhances the stomach acid, prickly ash may also reduce the H2 blockers effectiveness. H2 blockers include ranitidine (Zantac), cimetidine (Tagamet), famotidine (Pepcid) and nizatidine (Axid). Proton Pump Inhibitors (PPIs) - Interaction rating between prickly ash and Proton Pump Inhibitors (PPIs) is minor, so be careful about this mixture. There are reports that prickly ash may reduce the effectiveness of PPIs, as prickly ash increases stomach acid. PPIs include lansoprazole (Prevacid), omeprazole (Prilosec), pantoprazole (Protonix), rabeprazole (Aciphex) and esomeprazole (Nexium). How Prickly Ash Interacts With Foods? How Prickly Ash Interacts With Lab Tests? How Prickly Ash Interacts With Diseases and Conditions? Gastrointestinal Ulcers - Prickly ash can increase the gastrointestinal secretions. Gastrointestinal (GI) Conditions - Prickly ash powder can affect the GI tract. It is contraindicated in those individual with infectious or inflammatory GI conditions. What Should Be the Dose/Administration of Prickly Ash? ORAL • Consume of one to three grams of dried bark or drink as decoction (boil one to three grams dry bark for ten to fifteen minutes then strain) thrice on daily basis. • Water extract of bark (with ratio 1:1 in 45% alcohol) should be consumed within the range of 1 to 3 mL thrice daily. • Whereas, bark tincture (with 1:5 in 45% alcohol) should be consumed 2 to 5 mL thrice on daily basis. • Water extract of berry should be consumed (with ratio of 1:1 in 45% alcohol) in a dose of 0.5 to 1.5 mL daily.